Streetfighter is one of the genre defining fighting games ,whatever system it plays on, from the early days on the SNES and Megadrive . When the current Streetfighter IV came out it was a sigh of relief for many aficionados. Why ? Well because after the brilliant iterations on the Dreamcast many waited for how Capcom would bring the series into the next generation. Of course Capcom being savvy and not risking destroying a franchise that had kept the money rolling in over the years did not let the fans down. 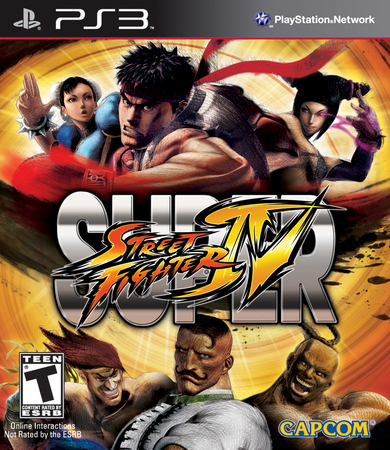 If your Fan of the series then you know that Capcom did the series proud.,well now we have a update to Streetfighter IV with Super Street Fighter IV ,which was deemed to large a update for download and was released as a standalone unit ,but at a reduced price . As with the previous iteration the game has 3d backgrounds and plays on a 2D field. 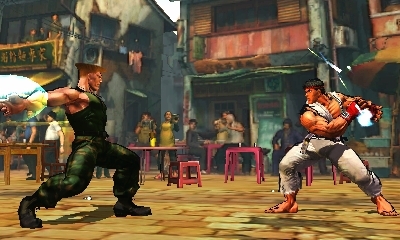 The game features all of the original 25 playable characters from the home version Street Fighter IV ,plus a additional ten Characters which are unlocked from the start. These feature some Old school fighters from older versions of the series like T-Hawk. And new characters like Juri a South Korean Taekwondo fighter. So there's a lot to be getting on with here , As well as the many game modes like Arcade' Versus,Trials and Training . 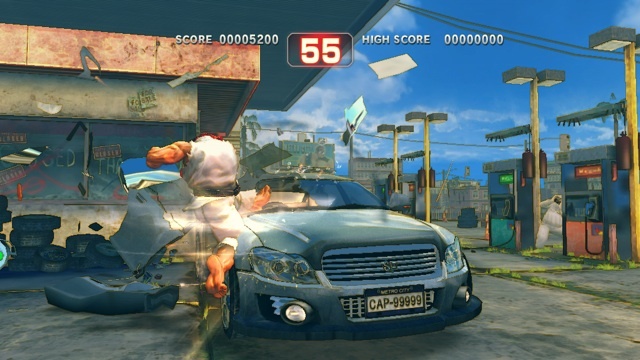 Of course with Street Fighter IV the big feature is the Online play which works a dream whatever system you play on ,there is nothing like going up against a real life adversary and going into battle , many hours can be used up as you try and become a Super Street Fighter . Looks wise Capcom as always has delivered a visual feast for the eyes with effects that add to the game-play and Not detract like so many other games. Now This was to be the defining moment in the Series IV edition ,but since it's release there has been another update in the form of the Arcade edition of the game which is available as downloadable content providing you have this version of the game . 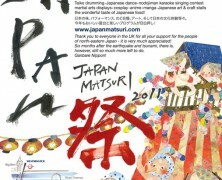 But if not then you can still buy a hard copy for around £20.00 new . It just goes to show that after all these years the game-play has not changed that much but with each iteration something more is added to spruce up the series and keep it up with it's more 3D orientated competitors like Tekken and Virtua Fighter.